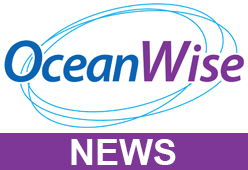 OceanWise, supported by the Association for Geographic Information (AGI), hosts its popular annual Data Management & GIS Workshop on Wednesday 22 November 2017, at The School of Economic Science, 11 Mandeville Place, London W1U 3AJ. Our keynote speaker will be Ed Parsons, Geospatial Technologist at Google. Then the event should be of interest to you. We will be discussing recent developments in marine data as well as providing advice, guidance and demonstrations of how GIS technologies and OceanWise products and services can deliver savings in time, effort and money. As always, the workshop provides a great opportunity to informally network, share experiences with government, industry and academic practitioners and stakeholders involved in managing assets or providing decision support and situational analysis across the marine and coastal space. Lunch is provided! This free-to-attend event is popular so do book early to reserve your place!